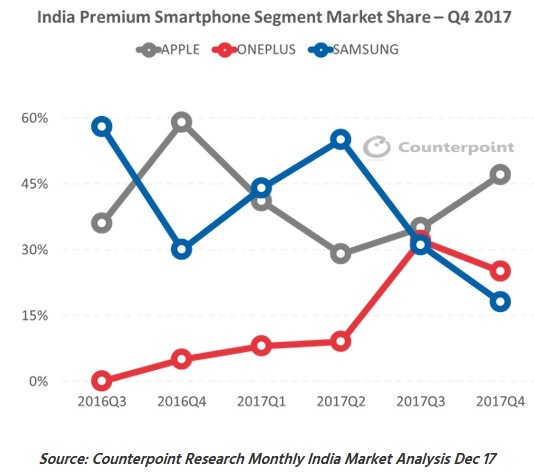 According to a report from Counterpoint Research, the premium smartphone segment in India (priced upwards of Rs. 30,000) grew more than 20% in 2017 on a year-on-year basis, making it the second-fastest growing segment of the market. While 94% of the market was dominated by just Apple, Samsung and OnePlus, the Cupertino giant took the top honors with a 38 percent market-share, thanks largely to the strong demand for the iPhone X and iPhone 7. Curiously, while strong demand for the most expensive iPhone in history allowed Apple to gain a 47% market-share during the last quarter, even as its overall iPhone shipments in the segment declined 31 percent YoY during the same period, largely on account of soft demand for the iPhone 8. Meanwhile, OnePlus is apparently transitioning from a niche brand patronized by geeks to a more mainstream brand, as proven by its astonishing 343 percent growth during the year that allowed it to capture a 25 percent share of the market in Q4 and 19% during the entire year with devices like the OnePlus 5 and OnePlus 5T. Samsung, the global leader in smartphone shipments, came in at number three with a mere 18% share of the segment in the last quarter. 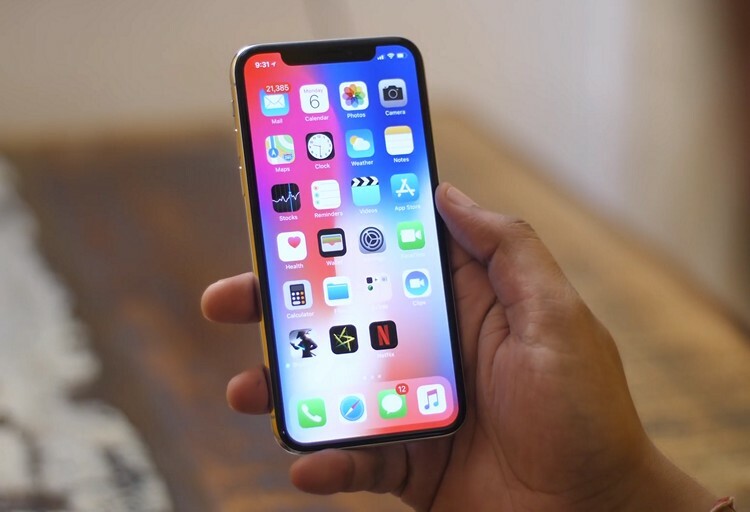 In terms of individual models, the iPhone X was the best-selling model in the premium segment with 21 percent market-share, followed by the OnePlus 5T (17 percent) and the Galaxy Note 8 (8 percent). According to Counterpoint, the premium segment in the country is expected to “continue to grow by more than 20%, both in terms of volume and value in 2018, as more brands are likely to enter the segment”.